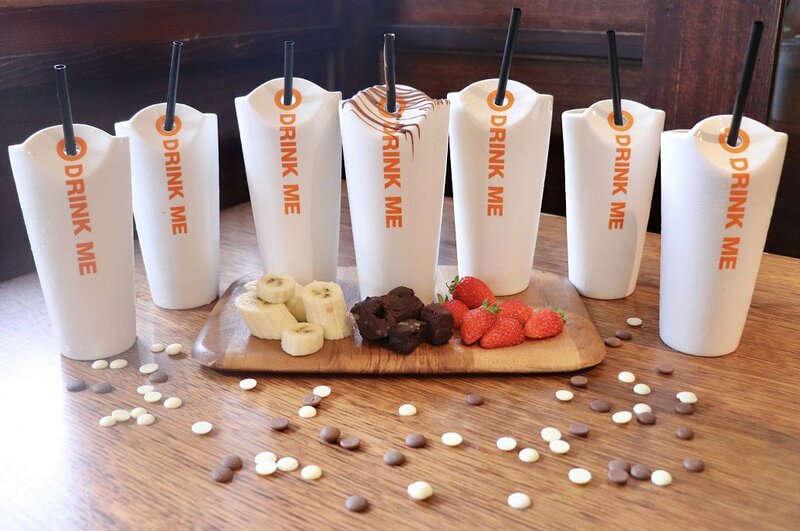 Popular dessert bar, Max Brenner, released a brand new cold drinks menu earlier this week, launching four new vegan ‘choctails’ and three additional milkshake flavours, available in all stores! After the success of their vegan pizzas, launched earlier this year, Max Brenner has decided to add more delicious options for their vegan friends. The four new vegan alternatives for their popular Icy Choctails include Dark Whipped Chocolate, Banana Chocolate, Mocha Frappe, and Peanut Butter Iced Chockie. Not only are they a sweet-tooth’s dream, they are offered with the option of soy or almond milk. The flavours are strong and definitely reflect their respective names, making them a delicious hit of a pick-me-up during the day. Next up are three new milkshake flavours including Frutti Banana, Strawberry, and Choc-Fudge Brownie Thickshake. The Choc-Fudge Brownie Thickshake is a twist on their classic vanilla thickshake with the addition of their famous choc-fudge brownie and is topped off with pure melted chocolate drizzle. As expected, this chocolatey indulgence was the sweetest and richest of the three, while the Frutti Banana and Strawberry flavours are more subtle in flavour but were refreshing nonetheless. Though there are almost forty Max Brenner Chocolate Bars Australia-wide, Adelaide’s only Max Brenner is located on the east end of the CBD’s Rundle Street and is open 10am til late seven days a week.